This week, a droplet of blood from 40 million years ago was discovered “frozen in time” inside a fossilised mosquito in a riverbed in Montana - eerily similar to the plot of Jurassic Park. 'It makes the film feel more real,' said tech site Gizmodo. Meanwhile, researchers in the Himalayas analysed hair samples of an unknown bear - which might be the elusive Yeti. 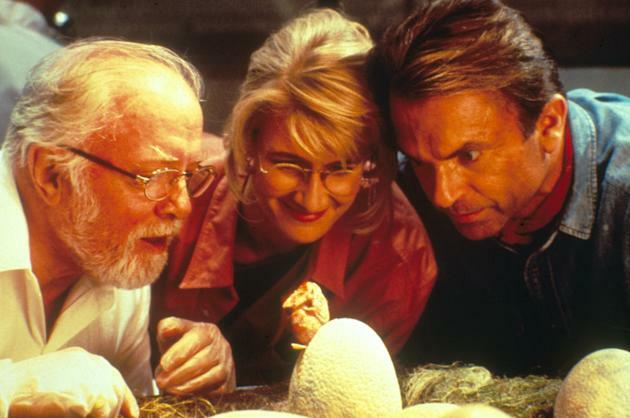 Scientists could not create a Jurassic Park. Where dinosaurs are concerned, the answer is no - DNA cannot survive in fossil remains, or in insects in amber. But a Neolithic Park - recreating beasts from 10,000 years ago may well be possible - due to frozen animals found in mountainous and cold regions. Frozen remnants of other extinct beasts are already being used in attempts to rebuild long-extinct animals - such as mammoths, giant sloths and sabre-toothed tigers. The technology is there - or very nearly - but the resulting “rebirths” might create creatures with a sort of “identity crisis”, one scientist has warned. 'I am not sure how good an idea it is to have very large tusked animals growing up confused as to what they are,' says Robin Lovell-Badge of the National Institute for Medical Research, London. Teams in Russia, Korea and Japan are already attempting to clone mammoths - and a scientist has said it might even be possible to create a Neanderthal baby, which could be borne by 'either a chimp or an extremely adventurous woman,' according to one Harvard scientist. Other projects are investigating the idea of “bringing back” birds and animals such as Dodos and giant sloths, as well as sabre-toothed tigers and the huge, flightless Moa bird. The techniques, if successful, could allow us to “rewrite” evolution using creatures from the past - but the creatures we create may not “fit” in our world, Lovell-Badge warned. 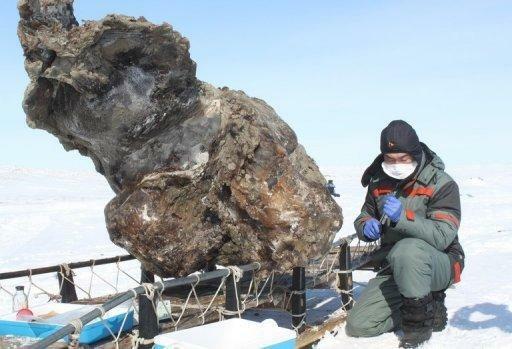 A Russian team claims to have found “fresh” blood from a mammoth that lived 10-15,000 years ago - and a Japanese team is also working on mammoth remains. Japanese scientists have “cloned” a mouse that lay frozen for 16 years, but resurrecting a creature from thousands of years ago may be considerably more challenging, says Lovell-Badge. The result may also not be quite what we expect, he warns. 'Assuming the mammoth had been found frozen in permafrost, and that it had not been subject to any period of thawing (freeze-thawing is bad because ice crystals form and these damage the cells, the DNA will still degrade over time, unless it was particularly cold (I suspect well below -80 degrees C),' says Robin Lovell-Badge of the National Institute for Medical Research, London. Lovell-Badge also warns that the pregnancy may not be simple, either. Successful cloning of endangered species has relied on very closely related species - and this is not the case with mammoths, Lovell-Badge says. There may be compatibility problems, or problems with gestation. He also suggests that the “new” mammoths may not have the happiest of lives. Even attempts to clone recently extinct species have often failed - an attempt to “bring back” the Pyrenean Ibex ended in the creature’s death within weeks. But other, newer technologies offer hope that some creatures, at least, may walk the Earth again. Artificial wombs, under investigation by scientists such as Cornell University's Dr. Hung-Ching Liu could combat some of the difficulties in “resurrecting” long-extinct creatures who have no surviving close relatives. An artificial womb for animals is predicted to be viable by 2020. One for humans is predicted by 2030. Genetic techniques may also make it easier to bring back species, even without perfectly preserved samples, by gathering enough information to build a genome. Controversy exploded two years ago over a - false - story where a Harvard Professor announced he was seeking a woman to bear a Neanderthal child. But Harvard’s George Church believes the feat is possible - just not now. 'A later technique under development in my Harvard lab will allow us to resurrect practically any extinct animal whose genome is known or can be reconstructed from fossil remains, up to and including the wooly mammoth, the passenger pigeon, and even Neanderthal man,' he writes.